Several candidates for Oaklawn's Presidents Day stakes tripleheader recorded workouts on a cloudy, damp Sunday morning, including Gray Attempt who breezed 5 furlongs in advance of the $500,000 Southwest Stakes (G3) for 3-year-olds Feb. 18. Working just after the renovation break from the 5-furlong pole to the regular finish line, Gray Attempt went in 1:00.20 under Channing Hill and galloped out 6 furlongs in 1:12.60 over the muddy, sealed surface. The colt's final quarter-mile was :23.60. The work was the first for Gray Attempt since a front-running neck victory in the $150,000 Smarty Jones Stakes Jan. 25, Oaklawn's first of four major Kentucky Derby preps. 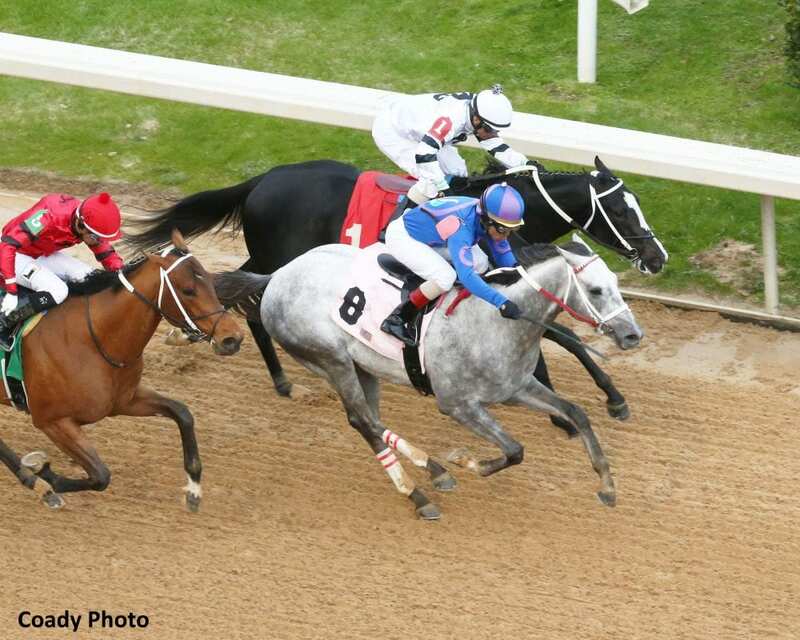 The 1-mile Smarty Jones, Gray Attempt's first start around two turns, was his third consecutive victory. This entry was posted in Triple Crown and tagged boldor, gray attempt, graydar, jinks fires, long range toddy, Oaklawn, oaklawn park, road to the kentucky derby, Shaun Bridgmohan, Southwest Stakes, steve asmussen by Press Release. Bookmark the permalink.